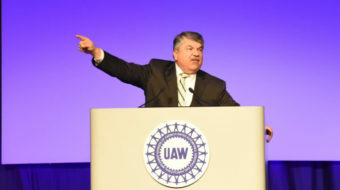 “Let’s fight for those who fight for us, since the corporate right-wing is going all out for our blood,” Trumka declared. 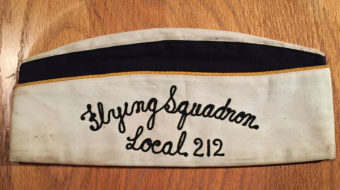 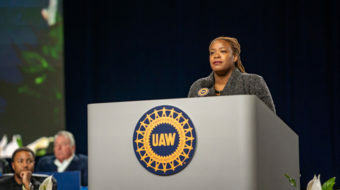 With growing membership, a budget back in the black and a strike fund that is rising by the year, the Auto Workers are much stronger than they were four years ago. 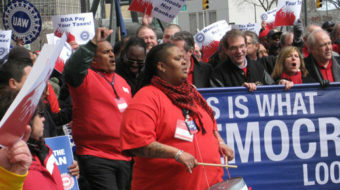 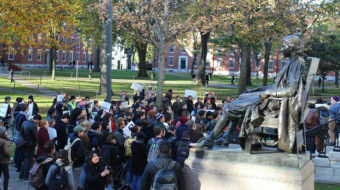 The union expects that anger over Republican anti-union legislation will help drive large numbers of people to the polls.